Item # 308472 Stash Points: 6,495 (?) This is the number of points you get in The Zumiez Stash for purchasing this item. Stash points are redeemable for exclusive rewards only available to Zumiez Stash members. To redeem your points check out the rewards catalog on thestash.zumiez.com. 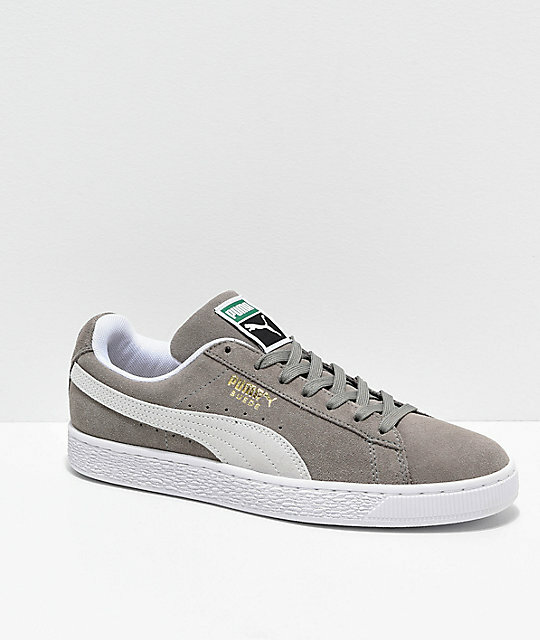 Upgrade your shoe game in durable and classic style with a pair of Puma Suede Classic+ Steeple Grey & White Shoes. These all-grey kicks feature monochromatic light grey logo stripes at the side and small logo tags throughout for classic branding and style. Padding throughout the footbed, tongue and collar keep these shoes extremely comfortable as well so you can wear them all day long. 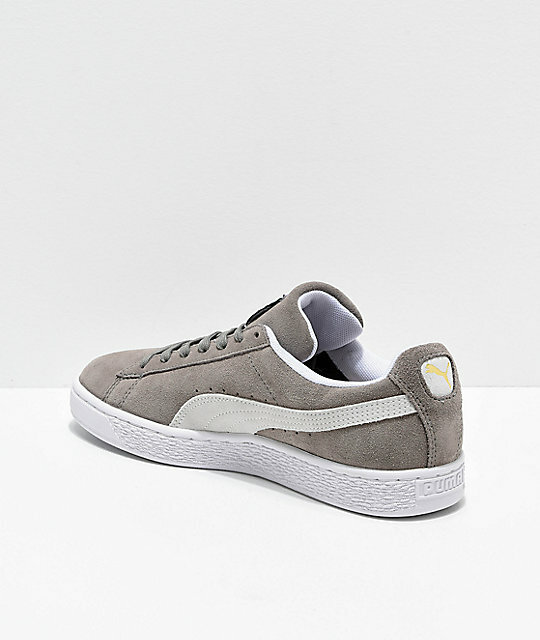 Suede Classic+ Steeple Grey & White Shoes from PUMA. 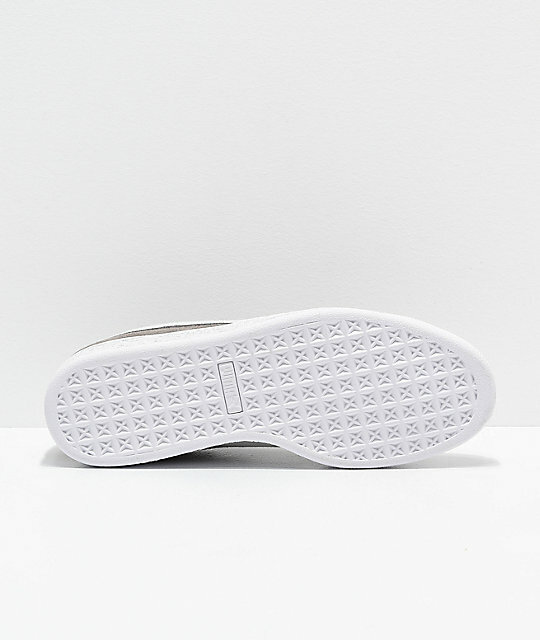 Rubber outsole with tread pattern for grip. Lace up closure with recessed eyelets. 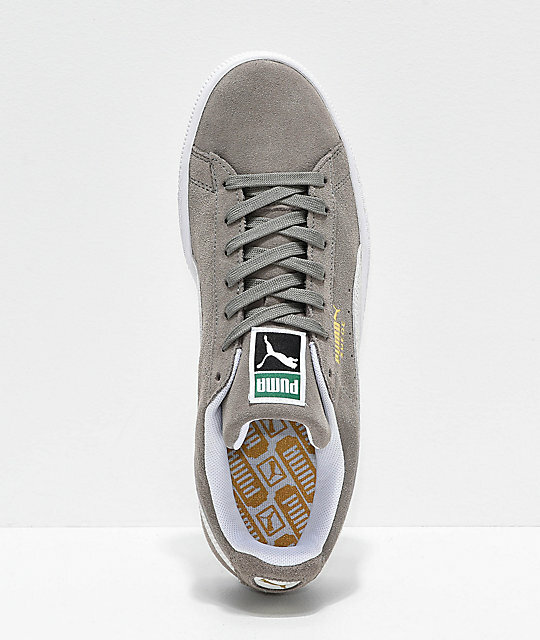 Contrasting PUMA formstrip detailing on sidewalls.